Eurolanche conducted an interview with the first Swiss-born skater in the Avalanche organization. 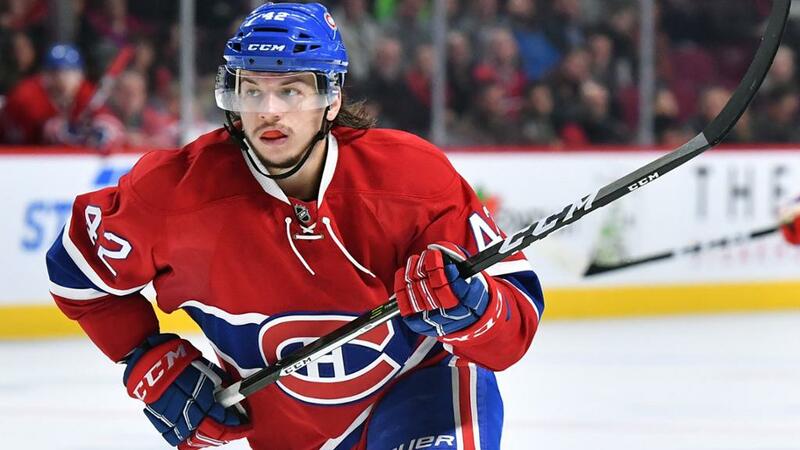 Sven Andrighetto was drafted by the Montreal Canadiens in the third round in 2013, his final year of draft eligibility. After three seasons, which he mostly spent playing in the AHL, the Canadiens traded him at the trade deadline to the Colorado Avalanche in exchange for Andreas Martinsen. Sven has already established himself in Denver, collecting 16 points in 19 games. If you know how bad the Avalanche played last season, you should praise him for his effort. 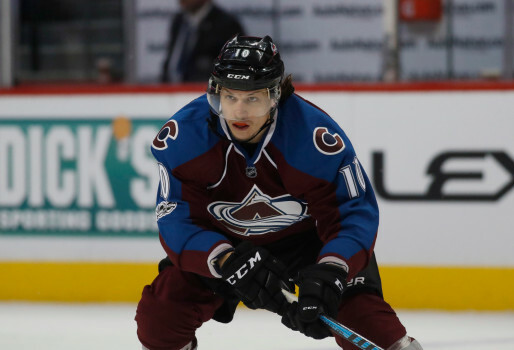 Thanks to his performance, the Avs opted to protect him during the recent expansion draft and then offered him a two-year contract, $2.8 million contract, which he signed shortly afterwards. Sven appeared in 83 games for the Habs and collected 28 points. Before he turned pro, he spent two seasons in the QMJHL, where he was one of the key players of the Rouyn-Noranda Huskies and was named to the QMJHL All-Rookie Team. Furthermore, Sven also has experience with representing Switzerland at various international tournaments in a number of age cathegories. He was named among the three best Swiss players at the World Championship a year ago. Sven also briefly played in the Swiss second-tier league when he was only 17 years old and won the league title. Because I see a huge opportunity for myself and for the organization, rebuilding, getting younger, faster, which suits me perfectly. I also really enjoyed my time there since March 1. For me, it was always clear that I would return to Colorado if possible. Do you believe the team could be better next year? Yes, I really do. With all the changes the management has already done in the offseason and bringing in new guys that are hungry and motivated just like myself. I see our team making a step forward for sure. You've only played 19 games for the Avalanche. Have you had enough time to analyze why the team kept losing? Not really, I wasn't there long enough. But what I did notice is that we were able to play and even outplay big opponents like Chicago, Minnesota, St. Louis and so on, but not for a full 60-minute game. If we had the lead and they came back, it was always kind of in the back of heads, because it has happened so many times before, but I believe that we've all learned from that. Where do you see yourself next season? Do you have any personal goals? It’s hard to say. I want to be the best player I can be and help the team as best as I can. I developed really good chemistry with MacKinnon and Rantanen, which makes it a lot easier if you have guys like that playing with you. Can you compare the Avalanche and the Canadiens from your point of view? They're both great organizations. Both have their history, with Montreal being an Original Six team and having won so many Cups. It was special to be there. With Colorado, you have a team that stood out and was on the top more recently than the Canadiens. They’re both classy organizations who take first-class care of their players, staff and fans first! You spent three years in Montreal, but couldn't manage earn a spot on the roster on a full-time basis. Was it frustrating when you were sent to AHL again? Yes, it was frustrating, but that wasn’t going to bring me anywhere. I used it as extra motivation rather than let it drag me down. So I went down there, made sure I was the hardest-working player. I wanted to show them, and especially prove to myself, that I didn't belong in the minors. What is your advice for young Europeans who are having a hard time making it to the NHL from the AHL? To work hard, be positive and believe in yourself! Its a process. For some, it takes longer, for others it doesn't. Learn, listen, get experience. Use everything to your advantage. Also, have fun while working toward your dream and goal. In this context, did you welcome the trade to the Avalanche? I was extremely happy when I found out about me being traded to the Avalanche. I knew which way they were heading as an organization and also knew they'd give me a good look, so I was excited and ready for it. Don’t you think that it is hard for a European player to begin his career in Montreal, probably the most traditional Canadian team? It’s hard in any team in the NHL. In Montreal, it’s just that you have that extra pressure from the media and fans. Hockey is a religion in Quebec. It's crazy, but I loved it. How do you remember your time with the St. John's IceCaps? I heard the city's really far away every other city playing in the AHL. How did you travel as a team? I was there for about two months each of the last two seasons at the beginning of the year. It’s an island, there’s not much to do, which is why yoou do even more activities with your teammates. We had great teams and guys there. It was a fun time. We'd travel with the plane to Toronto or Boston most of the time and took the bus from there. We were always two weeks at home and two weeks on the road, which made the trips really long. What was your reaction when you found out you were drafted in your last year of eligibility? Were you surprised? It wasn't surprising, because my agent told me there was a lot of interest even though I've already been passed over. I didn’t went into the draft with big expectations, so I enjoyed it. Do you think it is better for young European players to develop in the top European leagues or choose the same way like you did and go to the CHL? There's no right or wrong way to get to the NHL. There are so many examples of different players taking different paths to the NHL. For me as a Swiss player, when I got the chance to play in the QMJHL, I didn't hesitate at all, because I always wanted to play in North America one day. Also, I felt like it was better for my development, getting to know the environment and how they think and play hockey. A smaller rink, language… just everything connected with it. Back to the Avs, Why do you think you had such a great time at the end of the season, when the entire team was practically in shambles? Could you call it the best stretch of your NHL career so far? I had great teammates, they made me feel welcome right away even though they were in a bad situation at the time, but that made it a lot easier. The coach gave me a great chance to show and prove myself. I got to play a lot, also earning top-six and powerplay minutes. When you feel the trust from the coaching staff and your teammates, it’s huge for a player. So yes, I did have a good end of the season, but that wasn’t just me... it’s just the beginning. How will you spend your summer? Will it be different than those in the past? I'm spending most of my summer back home in Zurich, Switzerland. And no, there won't be any major differences from the previous offseason. as I changed a lot during summer training last year. It's great with my new summer coach. This year, I added some martial arts (boxing, kickboxing) to my workout routine. That’s about it. I work out nine times a week to be in best shape possible once training camp starts. What is your favorite memory from your international career for Switzerland? My favorite memory with Team Switzerland has to be my first and so far only World Championship in 2016 in Moscow, Russia, even though we didn’t end up getting the results we wanted. I had a great tournament and was proud and happy to be able to represent my country. Unfortunately, I couldn't play at this year's tourmanet in Paris due to an injury.